Attempting to quantify the differences between conventional and synthetic oil pertains largely to understanding the way in which oil is treated chemically because synthetic oil still contains traces of oil. The degree to which synthetic oil is chemically treated is enormous, and the chemicals and compounds combined with small amounts of oil do still amount to allow for engines to process it similarly to conventional oil. The benefits of synthetic oil are numerous in some cases, including a high likelihood of lasting longer within a given engine. This fact contributes greatly to the idea that products which are not composed entirely of oil can actually be more effective rather than less effective, and this amounts to a product which is often more expensive than regular oil. What is important to bear in mind even with traditional oil is that it is still a chemically treated substance, it is just less so. 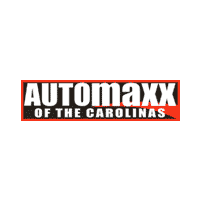 Once you’ve found the perfect vehicle in our extensive inventory of quality pre-owned vehicles, let the experts at Auto Maxx Pre-Owned Supercenter in Summerville, SC help you determine the right oil for your vehicle.